At the start you were making plenty of progress. One problem solved. Then another. And another. Then something happens. The results dry up. But the effort stays the same. It happens after the first few months of weight loss and the kilos stop dropping off. It happens after the first few courses on data science and the knowledge gains slow down. It happens when you hit the end of all the machine learning models you know how to use. In 2012, I failed statistics. For the second time. The dip. 2013, learning to code, hit the dip, stopped. 2015, competing in bodybuilding, dip, kept going, got on stage, got a taste for the other side. In 2017, we started a website, AnyGym, the Airbnb of gyms. Then we stopped. It got hard. We hit the dip and gave up. Now every time it gets hard I think about the dip. To pass the dip of one thing, you have to quit the dip of many other things. There it was. Podcasts, YouTube, blog posts, machine learning here there changing this changing that changing it all. I had to learn. I started. Andrew Ng’s Machine Learning course on Coursera. A bunch of blog posts. It was hard but I was hooked. I kept going. But I needed some structure. I put a few courses together in my own AI Masters Degree. I’m still working through it. It won’t finish. The learning never stops. You know this. You’ve seen it happening. You’ve seen the blog posts, you’ve seen the Quora answers, you’ve seen the endless papers the papers which are hard to read the good ones which come explained well with code. Everyone is learning machine learning. Machine learning is learning everyone. The ones you know about, math, code, probability, statistics. All of these could take decades to learn well on their own. But decades is too long. Everyone is learning machine learning. You have to stand out from everyone. There are courses for these things and courses are great. Courses are great to build a foundation. Read the books, do the courses, structure what you’re learning. This week I’m practising code for 30-minutes per day. 30-minutes. That’s what I have to do. When I don’t feel like practicing. I’ll remind myself. These are the skills I have to learn. It’ll be yes or no. It’s my responsibility. I’ll do it. Yes. Because skills are non-negotiable. Every field requires skills. Machine learning is no different. If you’re coming from zero, spend a few months getting into the practical work of one thing, math, code, statistics, something. My favourite is code, because it’s what the rest come back to. If you’re already in the field, a few months, a fear years in, reaccess your skills, what needs improving? What are you good at? How could you become the best in the world at it? If you can’t become the best in the world, combine with something else you’re good at and become the best in the world at the crossover. B) Got skills? Good. Show them. Ignore this if you want. Ignore it and only pay attention to the above. Only pay attention to getting really good at what you’re doing. If you’re the best in the world at what you do, it’s inevitable the world will find out. What if you aren’t the best in the world yet? I made this up. It might exist. On your website you share what you’ve been up to. You write an article on an intuitive interpretation of gradient descent. There’s code there and there’s math there. You’ve been working on your skills so to give back you share what you’ve learned in a way others can understand. The code tab links to your GitHub. On your GitHub you’ve got examples of different algorithms and comments around them and a tutorial on exploratory data analysis of a public health dataset since your interest in health. You’ve ingested a few recent papers and tried to apply it to something. LinkedIn is your resume, you’ve listed your education, your contributions to different projects the porjects you’ve built the ones you’ve worked on. Every so often you share an update of your latest progress. This week I worked on adding in some new functions to my health project. You’re getting a bit of traction but it’s time to step it up. You’re after the machine learning role at Airbnb. Their website is so well designed you stayed at their listings you’re a fan of what the work they do you know you could bring them value with your machine learning skills. I made this one up too. Kudos if you’re already on it. You send it to a few people on the Airbnb recruitment team you found on LinkedIn with a message. Hi, my name is Charlie, I hope this finds you well. I’ve seen the Machine Learning Engineer role on your careers page and I’d like to apply. I made this website which shows my solutions to some of your current challenges. If you check it out, I’d love your advice on what best to do next. 5/6 of the people you message click on it. This is where they see what you’ve done. You built a recommendation engine. It runs live in the browser. It uses your machine learning skills. Airbnb need a machine learning engineer who has experience with recommendation engines. They recommend a few things. 3 reply with next steps of what to do. The other 2 refer to other people. How many other people sent through a website showcasing their skills? Maybe you don’t want a job. Maybe you want to research. Maybe you want to get into a university. The same principles apply. Get good at what you do. Really good. How do non-technical people learn machine learning? The parking inspector starting speaking. Do you have a valid Queensland drivers licence? Well, you shouldn’t because you should know you can’t park in bus stops. The Uber app guided me to pick up riders. I followed the app without paying attention to the signs. I was more focused on picking them up and getting them out of there. It was 2 am. The fine came through. $250. I worked for free that night. I’m not driving Uber anymore. Two weeks later I got offered an internship as a machine learning engineer. 9-months before that I started my own AI Masters Degree. Before that, I graduated with a Food Science and Nutrition Degree. Non-technical as it gets. Words have power. Real power. They’re magic. It’s why when you list out the letters of a word it’s called spelling. People isolate themselves with their words. Some say play to your strengths, others say work on your weaknesses. Both good advice. Which one should you listen to? As soon as you start saying you’re non-technical, you’re non-technical. I was speaking to someone the other night. I used to think my main strength was talking to people. I’ll never be the best engineer. It changed me. I’m not trying to be the best engineer but referring to myself as never being the best was limiting my ability to grow. I’m getting better. Much better. Why? Because I told myself so. Belief is 50% of anything. It’s one of the most dominant forces in science. But it’s not limited to researchers in lab coats. You can use it too. People who thought they were taking good medicine (but were actually only taking a placebo, or a sugar pill) got healthier. Because they thought they were taking the good medicine and the cosmic forces between the mind, body and universe set them on the track to better health. I’ve simplified it and used cosmic forces on purpose. Because this effect is still unknown other than describing it as a belief which led to improvement. The same thing. Take a placebo pill of learning machine learning. This will be hard for me but I can learn it. All useful skills are hard to learn. The first two are most important. The rest snowballs as you go. Someone commented on my LinkedIn the other night. One of my favourite sayings from my professor was, "in theory, theory and practice are the same. In practice, they are completely different". Could you learn to swim without ever touching the water? If you want to get into machine learning, learn to code, it’s hard to begin with but you get better. Practice a little every day. And if you miss a day, no problem, continue the next day. It’s like how your 3-year-old self would’ve learned to talk. In the beginning, you could only get a few sounds out. A few years later, you can have whole conversations. Learning to code is the same. It starts out as a foreign language. But then as you learn more, you can start to string things together. My brother is an accountant. He’s starting to learn machine learning. I recommended he start with Python on DataCamp. Python code reads similar to how you would read words. Plus, DataCamp teaches code from 0 to full-blown machine learning. He's been loving it. Once you’ve been through a few DataCamp courses or learned some Python in general, start to piece together where you want to head next. Because in the beginning it’s hard to know where you want to go and there’s a bunch of stuff out there. So you’ve got two problems. Not knowing where to go and having too many things to choose from. If you know you want to learn more machine learning, why not put together your own path? Do you have to use these? I only recommend them because I’ve been through them as a part of my AI Masters Degree. The best advice comes from mentors who are 1–3 years ahead of you. Short enough to still remember the specifics and long enough to have made some mistakes. 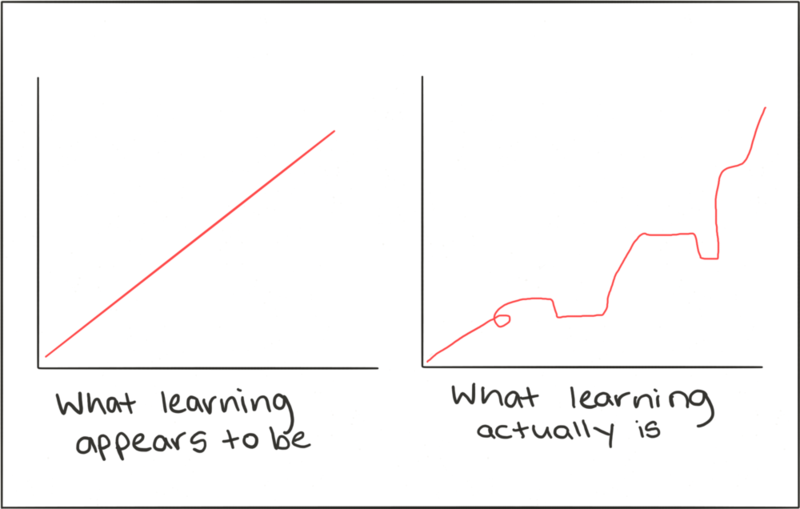 Day by day you may not feel like you’re learning much. But by the end of the year (3 blocks of 4 months) you’ll be a machine learning practitioner. When you look at machine learning resources, many of them have a bunch of math requirements. Math isn’t taught well in schools so it scares people. Like code, mathematics is another language. Mathematics is the language of nature. If the math prerequisites of some of the courses you’ve been looking at are holding you back, you can get started without it. The Python coding frameworks such as TensorFlow, PyTorch, NumPy and sklearn, abstract away the need to fully understand the math (don’t worry if you don’t know what these are you’ll find them later). As you go forward and get better at the code, your project may demand knowledge of the math involved. Learn it then. Am I the best machine learning engineer? But two years ago I was asking myself the question, how I do learn machine learning with no technical skills? The answer was simple, start learning the technical skills and don’t stop, but there were details. Driving Uber on the weekends allowed me to pay for the courses I was doing to learn machine learning. Getting a fine for picking up people in the wrong spot helped me make the decision to back myself. A year into being a machine learning engineer and I’m more technical than when I started but there’s plenty more to learn. I get up. I’m tired. I went to bed late. Distracted by my phone. Sophie was texting me. She didn’t. But there’s other red bubbles. More red bubbles. I tap one. Then another. I’ve been up for 46-minutes. I have no idea what I’ve done. I decide that’s enough phone time for today. It goes in the drawer. If there was $1000 on the table, would you take it? Yes of course, I would. How about if someone else was at the table? Would you give to them? And if you wouldn’t either, why do you give away your time so easily? Value your time at $1000 per hour. Random online internet surfing. No. Seeing those people you knew 6-years ago buy a boat and go fishing with their new friends. No. The list of things gets shorter real quick. My energy bar is already low. Poor sleep and poor foods over the past couple of days have clogged everything. How am I supposed to study whilst everything is clogged? I decide I need to sleep more and eat better and begin at once. C) What the hell am I doing? That’s three yesterdays with nothing. Three nothings. But my energy bar is full today. My phone is away. I’m ready. The void consumes me. There’s a pile of this and that and a stack of thoughts. I’m drowning in thoughts. Too much. What the hell am I doing? I spend 17-minutes trying to decide. I figure it out. I put a few things down. Lost in thought but found in the words. Yeah, that’s good. Three things, that’s enough. Math work got done but none of the others. I’m starting to get this starting to get the hang of things. Math work was good. My energy bar was high. Top sleep and food does the trick. It got me. Got me good. The math. I got lost. Lost in the patterns. I was on a roll. Connecting the dots. Playing. I lost track of time. These things happen when you’re playing. Next time I must put a time limit on each one. Not too much. But not too little I can’t do what I need to do. I set up a timer. I want these things done. I’m getting better. Valued time. $1000 per hour! The timer is running. 25-minutes of playing. I learned it from the math study. Work is playing. Studying is playing. I’ve convinced myself. They’re the same. It helps you know. It does. I think if I can learn this and then that, I’m in a game, I can turn it into a game. Study becomes play. All this time playing I finish exhausted. All of the list done. A depleted energy bar. Thousands of dollars of time and effort dedicated. I lay in bed. Still intrigued. The best way to be. But I know I must rest. The sleep will help. Help me focus. Keep my energy bar up. I can it enough. When I’ve reached it, I call it. I’ve done a good job today. There’s more to do though. There’s always more to do. My list of what to do. My timer to help with the list. $1000 per hour. My full energy bar. The sleep and food. And the bending exercises. I lay in bed. Still intrigued. Then I started driving Uber on the weekends to pay for my studies. I loved meeting new people but I hated driving a car all the time. Traffic, stop, start, fuel, the air, the aircon, all of it. I studied machine learning. All day, five days a week. And it was hard. It's still hard. 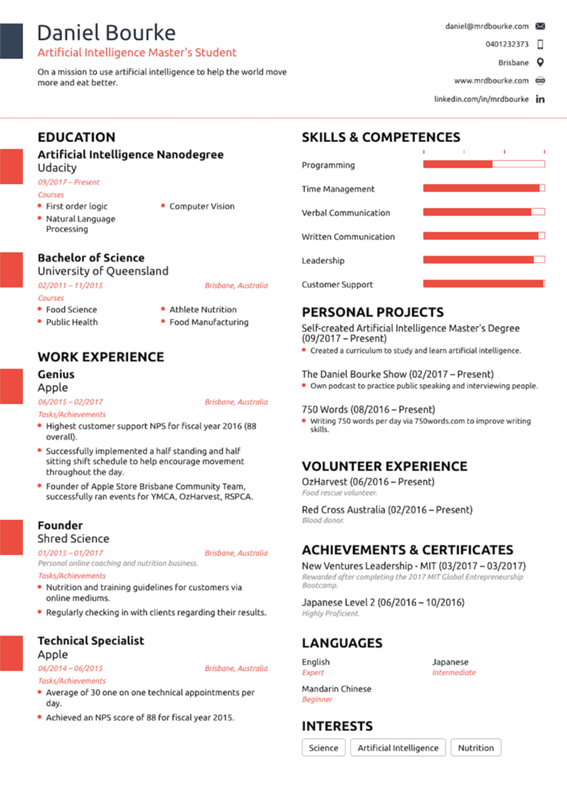 9-months in, I got a job. Your grandfather’s first orange farm failed. The soil was good. The seeds were there. All the equipment too. What happened? It was too cold. Oranges need warm temperatures to grow. Your grandfather had the skills to grow oranges but there was no chance they were growing in a cold climate. When he moved to a warmer city, he started another orange farm. 12-months later, your grandfather was serving the best orange juice in town. Studying is like growing oranges. You could have a laptop, an internet connection, the best books and still not be motivated to study. Because your environment is off. Your room is filled with distractions. 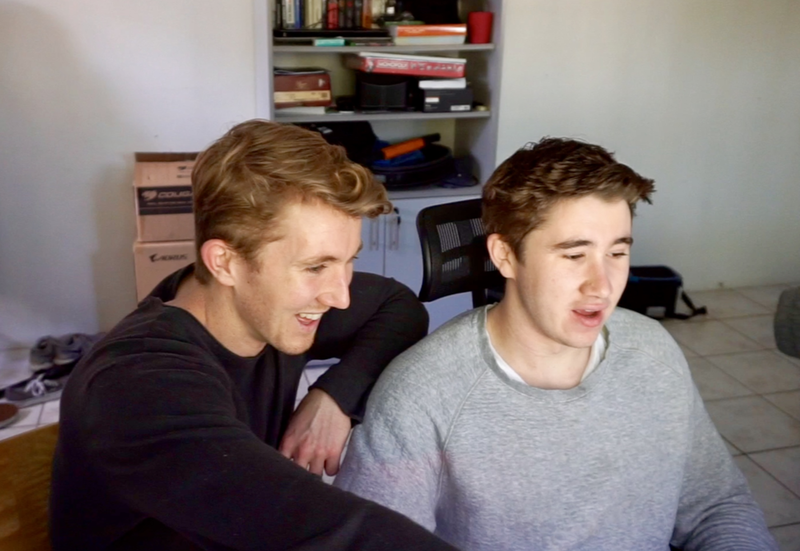 You try to study with friends but they aren’t as dedicated as you. Whatsapp goes off every 7-minutes. Clean your room. Find a different study group. Friends are great when it comes to friend time but study time is study time. Put your phone in a drawer for an hour. Fix your environment and let the knowledge juices flow. Problem 13 has you stumped. You’re stuck. You wanted to get it done yesterday but couldn’t. Now it’s time to study but you know how hard you worked yesterday and got nowhere. But you’re putting it off. The pile of books stares at you. Problem 13. You set a timer. 25-minutes. You know you might not solve the problem but you can sit down for 25-minutes and try. 4-minutes in, it’s hell. Burning hell. But you keep going. 24-minutes in and you don’t want to stop. The timer goes off and you set another. And then another. After 3 sessions, you solve the problem. You can't always control whether you make progress with study. But you can control how much time you spend on something. Can control: four 25-minute sessions per day. Can't control: finishing every task you start every day. Set the system up so you always win. I did the Coursera Learning How to Learn course the other day. One of the main topics was focused versus diffused thinking. 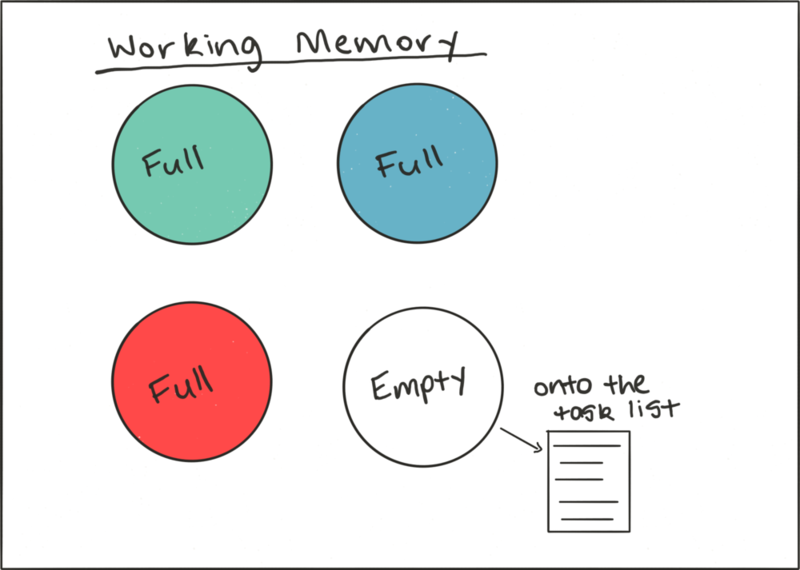 Focused thinking happens when you're doing a single task. 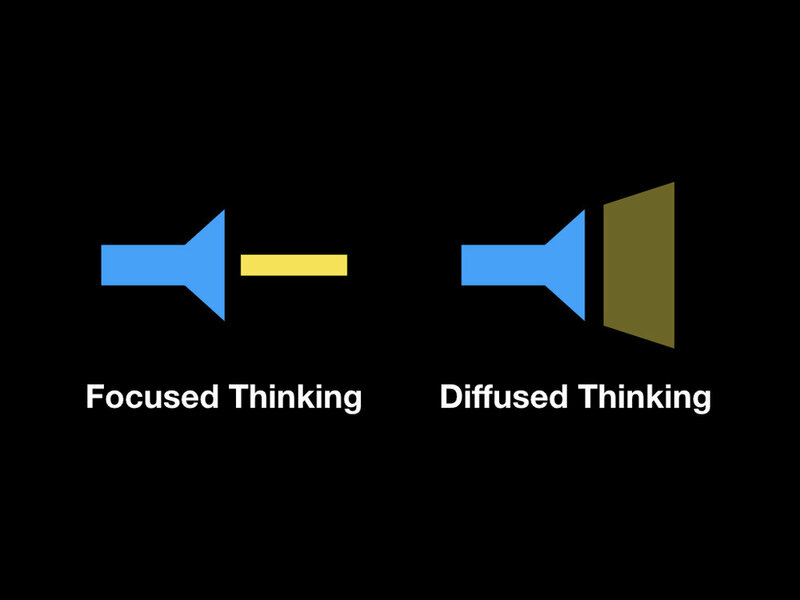 Diffused thinking happens when you're not thinking about anything in particular. The best learning happens at the crossover of these two. It's why you have some of your best thoughts in the shower. Because there's nothing else happening. When you let diffused thinking takeover, it gives your brain space to tie together all of the things it absorbed during focused thinking. The catch is, for it to work properly, you need time in both. If you've set the system up so you do four 25-minute sessions of focused work, go for a walk after. Have a nap. Sit and think about what you've learned. The world could do with more of nothing. You learn one thing and forget it the next day. Then another and forget it. You spend the whole weekend studying, go to work on Monday and no one knows. Then after a year of studying something you realise how much more there is to still learn. It doesn't. It's always day one. I was at the park the other day. There was a young boy running around having the time of his life. Up the slide, down the slide, in the tree, out of the tree, in the dirt, out of the dirt, up the hill, down the hill. He was laughing and jumping then laughing again. His mum came over to pick him up. "Come on, Charlie, we've got to go." He kept laughing as she carried him away, waving his blue plastic shovel. What is it that fascinated him? He was playing. He was having fun. The whole world was new. Our culture has a strict divide between work and play. Study is seen as work. You're supposed to study to get more work. You're supposed to work to earn money. The money buys you leisure time. Then and only then can you be like Charlie and run around laughing. If you have it in your head study is work, it will be hell. But suppose, you have the idea about it that studying is the process of going through one topic and then to the next. Connecting different things like a game. The same feeling about it as you might have as if you were Charlie going down the slide. You learn one thing, you use it to learn something else, you get stuck, you get over it, you learn another thing. And you make a dance out of it. Do this and you'll finish a study session with more energy than you started. This is the 3-year-old principle. Seeing everything as play. Poor sleep means poor studying. Don't trade sleep for more study time. Do the opposite. Is far more important than where to study. How you learn is more important than how long. The best teachers are the ones which inspire you to learn more. The best books are the ones which you don’t want to stop reading. The internet has provided access to some of the greatest teachers and learning materials. Now you have the choice of who your teacher is and what you read. If you try one and don’t like it, you can move on. There will be more information on the topic somewhere else. And a willingness to learn comes with a willingness to be wrong. I looked to the left and to the right. The people sitting next to me did the same. ‘That won’t be me,’ I thought. We were in a biology class. 7-years later a new textbook came out with a bunch of updates. Not only did I fail the course, I failed a course which (as of now) was teaching the wrong information. If the beard is grey, trust what they say. 17-year-old me didn’t respect the grey beard.